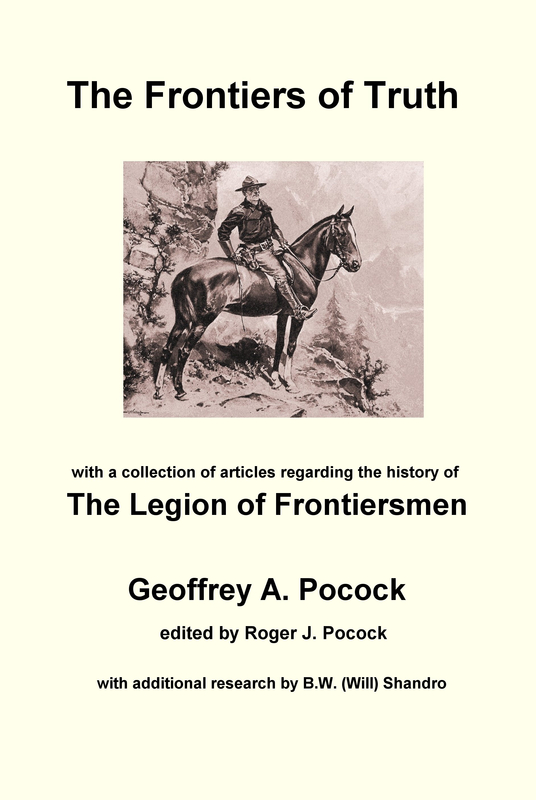 Although the Frontiersmen acted for many years in Canada as a version of Special Constables, their biggest success was the official, albeit short-lived, affiliation to the R.C.M.P.. In 1935 the Founder undertook a recruiting World Tour for the Frontiersmen. The final leg took him across Canada from west to east. As well as visiting many Frontiersmen units, Roger Pocock met many in authority in Canada, especially in the R.C.M.P. where he was still held in respect, as he had never ceased to champion the Force. By Authority of the Honourable, the Minister in Control of the Force, The Legion of Frontiersmen is hereby affiliated with the Royal Canadian Mounted Police, in the same manner as Units of the Canadian Militia are affiliated with regiments of His Majesty’s Forces in the United Kingdom. In 1939 the visit of King George VI and Queen Elizabeth to Canada called the Frontiersmen into action as a successful and efficient back-up to the R.C.M.P. This was to be the high point, as in October 1939 the R.C.M.P. terminated the affiliation due to internal squabbles and divisions within the Legion. He [Scott] re-wrote the Constitution, which was passed at a H.Q. meeting in spite of protests by members elected by the local Squadrons and by myself. Owing to many protests by members this was brought up at the annual dinner, held months after, and was voted on by a show of hands, the majority present being drunk…This “constitution” places the control of the Canadian Division entirely in the hands of a few members of Canadian H.Q. The Charter was obtained without the knowledge or consent of IHQ and without the sanction of the members at an AGM and practically places the ownership of the Legion and all its assets in the hands of three men – Lt.Col. Scott, Capt Arlidge and 2/Lieut, McGavin, neither of the latter two men having seen any service. Scott was a clever man who was able to run rings around Fitzgerald and his supporters. Scott had gained the Dominion Charter mentioned by Blain, but this nearly turned the Canadian Frontiersmen into a private firm. IHQ had been told of the Charter, but had not been sharp enough to demand details in advance. Refusing to accept the division of the Legion in Canada, Scott broke his Canadian Division away from IHQ and even used the Charter to prevent Eastern Canada from using the name Legion of Frontiersmen. An increasingly frantic Fitzgerald bombarded IHQ with almost daily cables and letters. He was advised to seek a Charter under a different name, so Eastern Canada Command became “The Corps of Imperial Frontiersmen”, but fully affiliated to Legion IHQ in London. Countless attempts were made to solve the problem, but the coming of the War put such matters to one side. The Canadian Secretary of State told both parties to concentrate on the War effort. When the War ended a new attempt would be made to resolve the problem. The Legion President, Lord Loch, had involved his many influential friends without success, but he indicated that after the War he would make a special trip to Canada to seek a solution personally. Unfortunately he died in August 1942. At the end of the War Britain was exhausted and the British Frontiersmen needed to concentrate all their efforts on rebuilding the Legion there. And so the dispute continued to simmer. Article © 2010 Barry William Shandro. All rights reserved. This article may not be reproduced in any form, in part or in full, without prior permission.